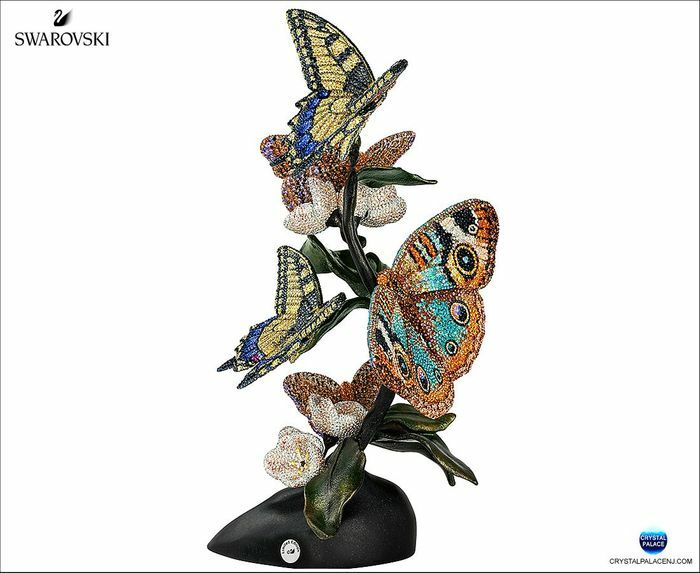 Exquisitely crafted, this spectacular and highly dynamic piece shows five colorful butterflies fluttering around a branch of white apple tree blossoms. Each piece sparkles luxuriously with over 28’000 hand-set crystals in Swarovski’s exclusive Pointiage® technique, and takes 225 hours to complete. 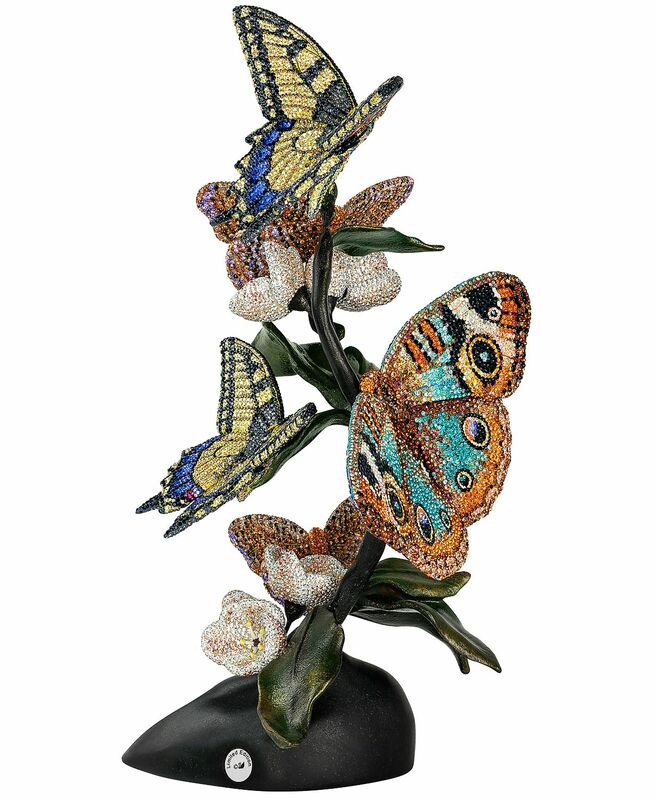 Limited to 250 numbered editions and delivered with a certificate of authenticity, this is a truly exclusive decoration piece.